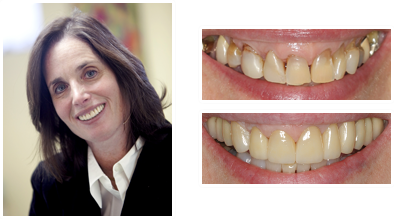 Condition: Many back teeth were cracked, front teeth were spread apart, and many teeth were loose. 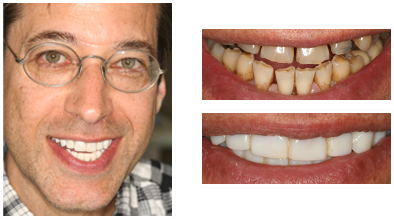 What was done: Replaced all old dentistry with enamel: all ceramic crowns, returned all worn teeth to their natural shape and size, balanced bite on all teeth to prevent further spreading and loosening. 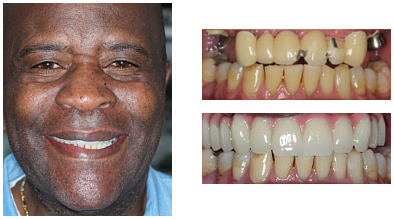 Patient's Comments After Treatment: When Norman gave us permission to use his photo he remarked, this was the beginning of his career as a model. 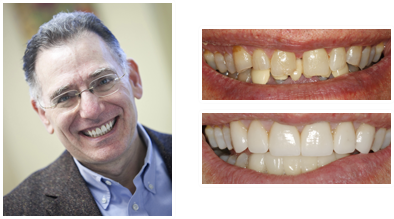 What was done: We replaced all old dentistry, and restored all worn-down teeth to their natural shape and size; balanced the bite on all teeth to prevent excessive biting habit on back teeth. Six primary office visits. 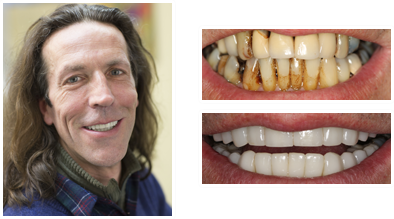 Patient's Comments After Treatment: Robert reported his clenching habit is dramatically improved and he goes for days without thinking about his teeth. 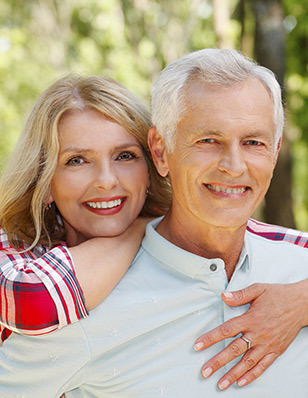 This compared to several painful headaches each day before his treatment. 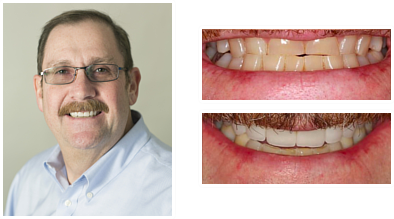 Condition: Large fillings in back and front teeth had cracks and cavities. 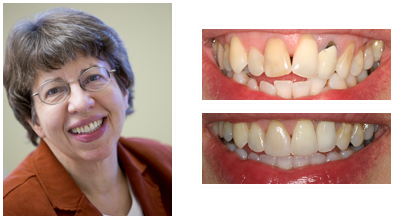 What was done: Replaced old dentistry in all upper teeth; restored all worn-down teeth to their natural shape and size; Gloria was happy with the appearance of her lower teeth so we matched all cosmetic work to Gloria’s natural lower front teeth. Completed in four primary office visits. 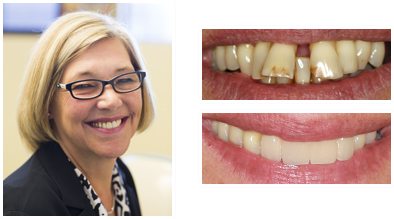 Patient's Comments After Treatment: Gloria reports that her tooth pain when chewing is gone. 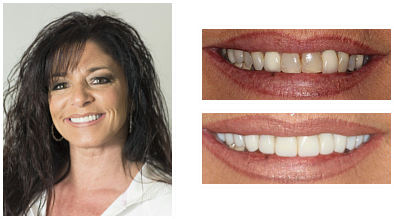 She also said her aesthetics and bite comfort are great. What was done? 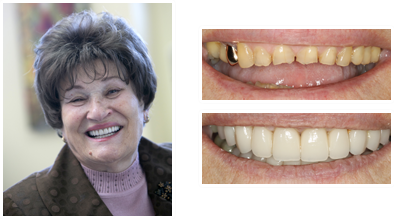 We removed all the old fillings, repaired and strengthened the teeth with ceramic crowns, and replaced missing teeth with implants. 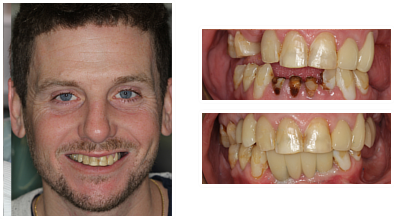 Treatment time was 3 months with four primary visits. What concerned this patient? 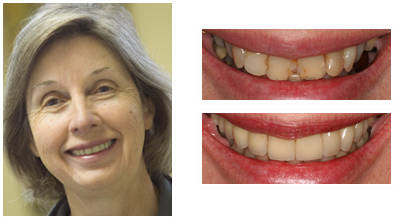 Bernice was increasingly aware of her front teeth overlapping. What was done? 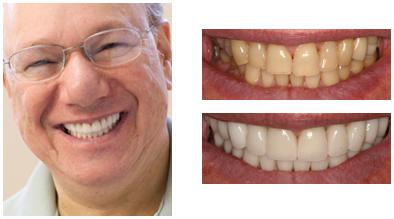 We added crowns to restore the teeth to their natural size. 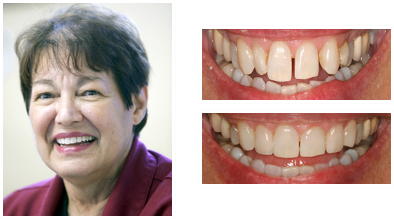 Patient’s comments after treatment: Mary said her grandchildren thought her smile looked just like their mom’s. What concerned this patient? 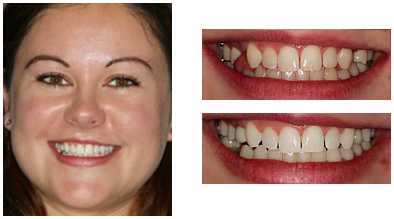 “Debbie explained she was too embarrassed to see a dentist because she felt the condition of her teeth were pathetic. What was done? 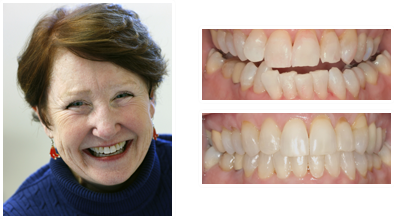 We replaced the loose and painful front teeth with an implant-supported bridge for a totally natural bite and smile. Treatment time 1 year. 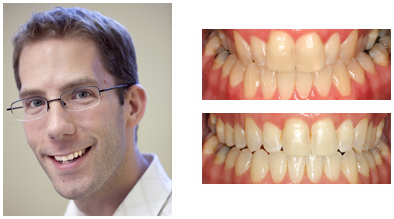 Condition: Moderate to severe tooth crowding. What was done? 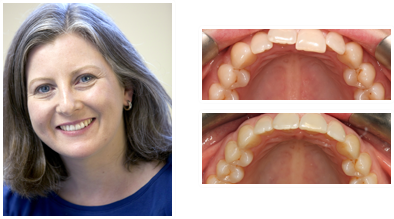 Palatal expansion and Invisalign; treatment time 18 months. What was done? 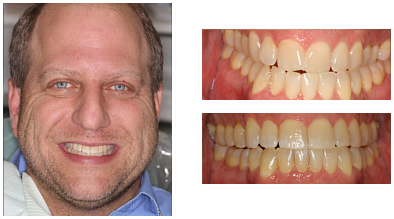 We realigned the teeth with Invisalign, and replaced the missing tooth with an implant and crown. 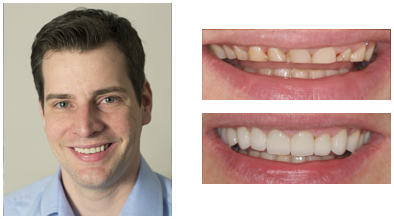 Learn more about Full-Mouth Reconstruction and call Dr. Gary Login at his Brookline, MA dental office to schedule a consultation.